What happens to us after we die? Prepare to get shivers down your spine as we look more closely at seven sites that dance closely with death showing the bones and bodies of those that have gone before us. The Maya site of Actun Tunichil Muknal is a cave filled with archaeological artefacts, the most famous of which is the remains of a teenage girl named the ‘Crystal Maiden’ because her bones have crystallised to give a sparkling effect. It is thought that she died as a human sacrifice. When cemetery space became sparse in Guanajuato in the 19th century, a tax was enforced making people pay to keep their relatives buried in the ground. Those who could not pay saw their relative exhumed, many of which had been naturally mummified. 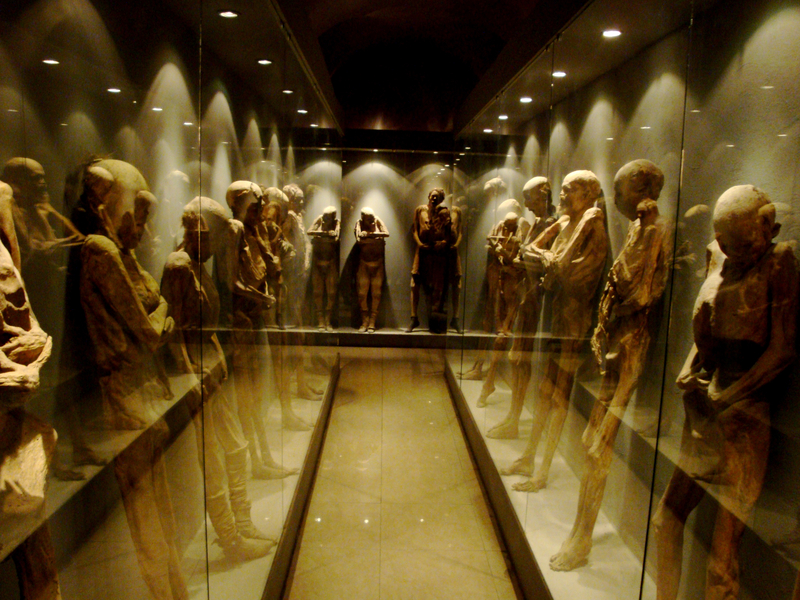 The bodies were stored and soon became a tourist attraction for the morbidly inclined. Legends say that soil brought back from the holy land in the 13th century and sprinkled onto the cemetery of the church of All Saints in Sedlec made it a popular burial site for many. 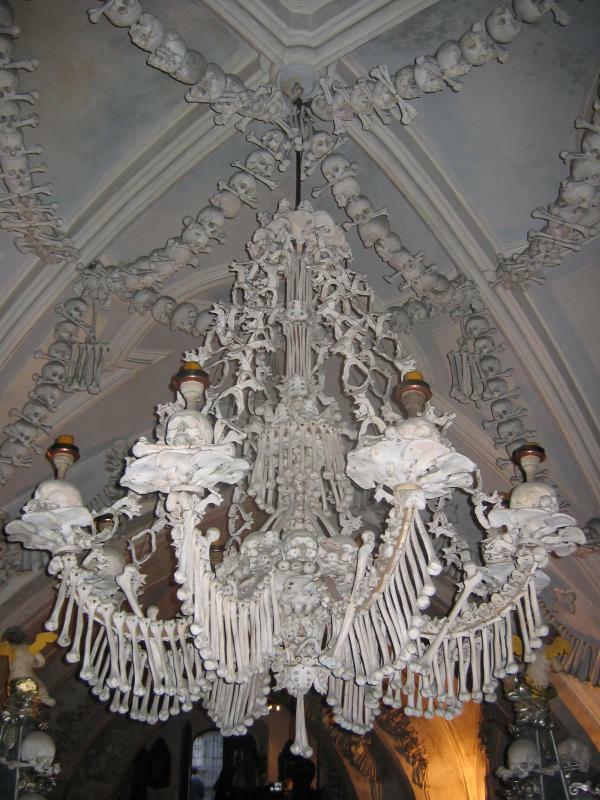 As the space for burials started to run out, graves were exhumed and the bones were stacked and used to decorate the church in a Gothic style. 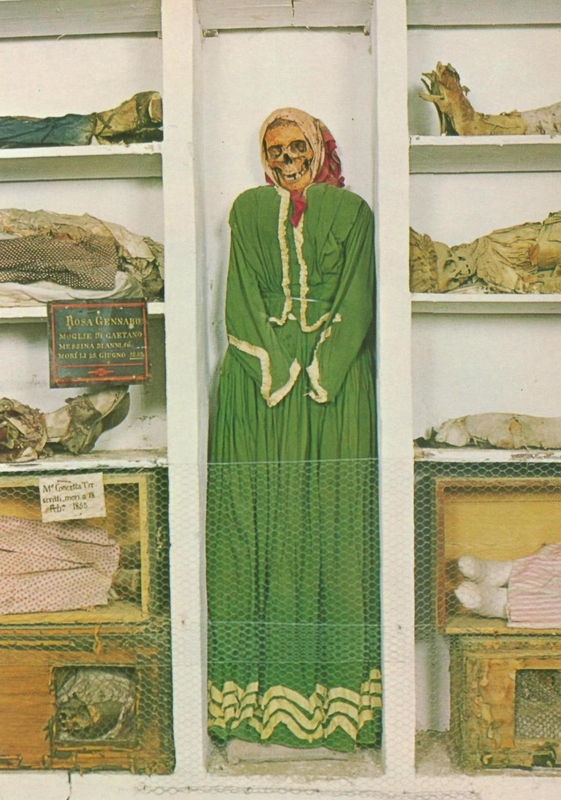 Originally the Capuchin monastery started the tradition of mummifying their own friars who died, however, over the years it became popular for other people to do the same. Many of the bodies were dressed in their best clothes and tended to, for years, by living relatives. 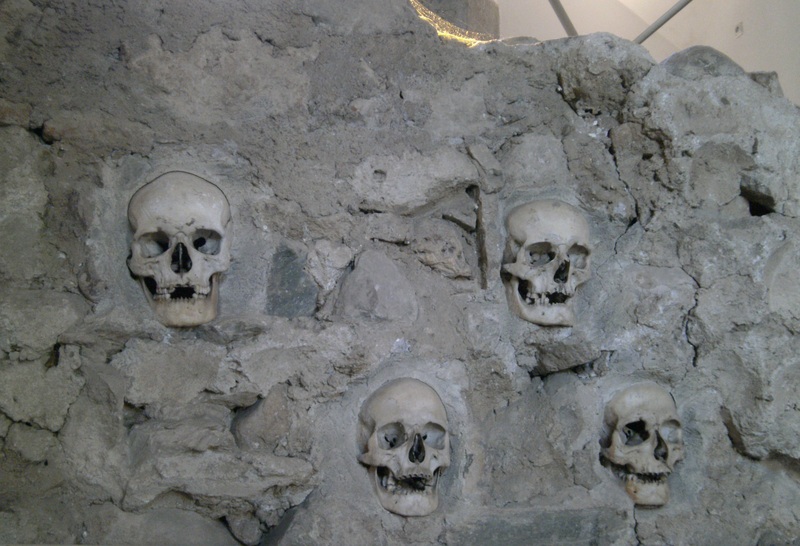 In the small town of Waldsassen the skeletons of Christian martyrs that were exhumed from the catacombs of Rome form part of the decoration of the Papal basilica. 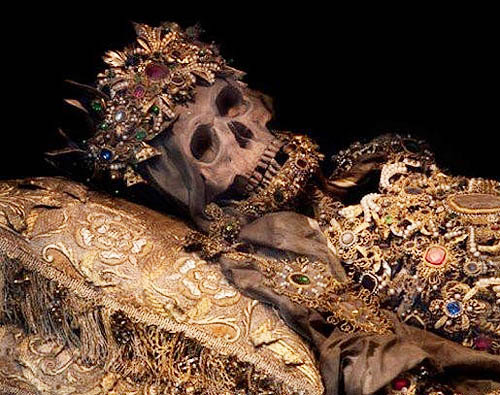 Known as the “holy bodies” they have been dressed in elaborate 18th century dress, covered in layers of fabric and hundreds of jewels. The skeletons are celebrated every year at the Holy Bodies Fest. Underneath the streets of Paris the quarries whose stone built the city were used in the 18th century for a very different purpose. 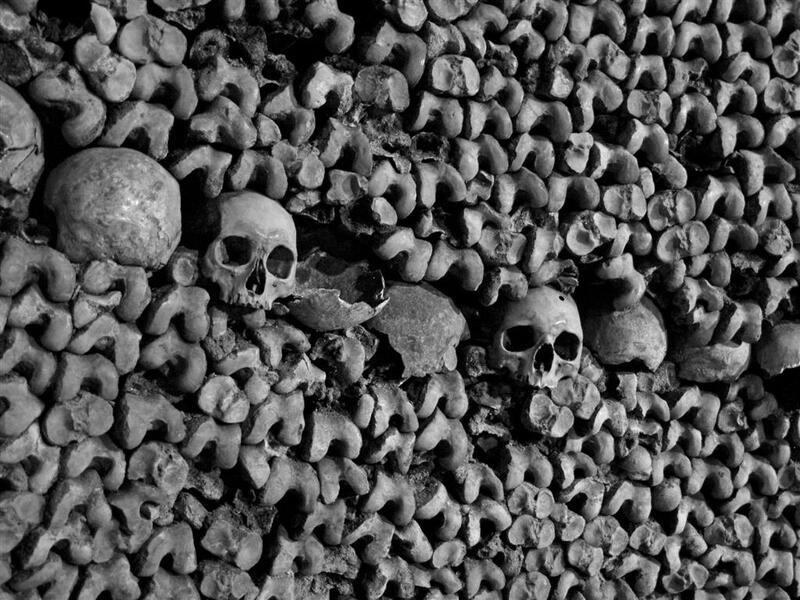 The underground labyrinth was turned into catacombs for the Parisian dead. Originally used for holding the remains of individuals moved from the city cemeteries that were a health risk to the public, they have over the years come to hold more and more people, including those who died in the Revolution. 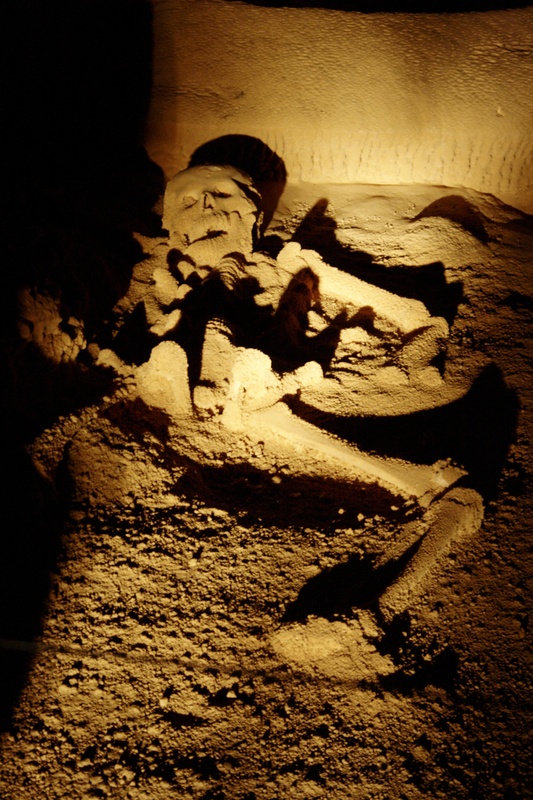 The catacombs are now the final resting place for around six million individuals. During the first Serbian uprising of 1809 against the Ottoman Empire, the rebel army were outnumbered and instead of facing capture and execution, leader Stevan Sinđelić fired his gun into a keg of gunpowder causing it to explode and kill his army, taking down many enemy soldiers along the way. The leader of the Turks, Hurshid Pasha took 952 skulls of the rebel soldiers and built a 15 ft high tower with them. The families of the soldiers chiselled some of the skulls out of the tower to give them a proper burial in the years that followed, but the tower still remains with 58 skulls in place.